Empathy and bubbles. Two buzzwords. The reason we’re so obsessed with these words is because we have a deficit of one and surplus of the other. Six months ago I moved from an urban city in a blue state to a rural area in a red state. When I say rural, I mean the closest town has a population of 948. So, I literally and physically moved into a new bubble just before the election that left us with an empathy deficit. As I was well aware, we all reside in our highly curated, comfy, virtual bubbles. Where we float around in our echo chambers listening to like-minded people, press and perspectives. (For the sake of over simplifying, a virtual bubble is basically Facebook.) What I didn’t realize is that we actually live in double bubbles. Most people physically live around, or at least migrate toward, like-minded people as well. The echo and intensity gets amplified in double bubbles. After the election, our country woke up to a pin prick of self-awareness. The sobering realization that half the people in our country feel differently from the other half. We were surprised because we couldn’t hear half the voices due to the volume in our own echo chambers. Every once in awhile we’d have arguments with people online who seemed to have bizarre ideas but we thought they were the inferior minority. An anomaly floating aimlessly. Wrong. I’m not exempt from bubble living. I woke up confused and then became curious about the entire situation. I tried to convince myself that self actualization and curiosity were the first steps toward unification. (Had to tell myself something!) I started to explore outside my bubble in an experiment to better understand empathy. Here’s what happened, consider this my empathy boot camp or empathy kick starter if you will. I came across this video that brings science into the equation. Yes, science! It’s refreshing after an abundance of subjective opinions floating around. I spoke with Poppy Crum, neuroscientist and Chief Scientist at Dolby Labs, and she explained how we literally and physiologically have different realities. We discussed the power and opportunity in understanding that what we see, hear and feel differ. Literally. If we realize we all have slightly different information going into our equations, there’s a chance we can be more human and empathetic. While some of this is intuitive, the knowledge allows us to potentially transcend our emotions when we’re encountering a challenging opinion and realize the opposing opinion we’re facing was formed based on different information than we have. In the talk, Poppy also explains that immersive technologies can be extremely beneficial in linking our unique sensory perceptions with shared human understanding. Science can serve as a common language. Try watching the video and discussing it with someone who may have a different point of view than yourself. 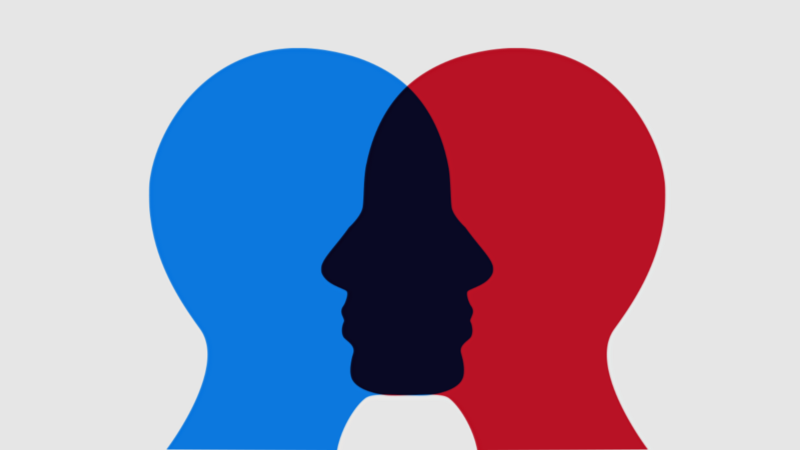 There’s a great deal of exploring left to do around the science of empathy. This sounds simple but it requires getting comfortable with being uncomfortable and breaking habits. I’m not just talking about watching a different TV network, although that’s a solid start! For the sake of exposure, or entertainment, try consuming some “news” that’s on the other side of the spectrum of your typical go-to media outlets. Try to find one thing you agree with. Also, I’ve been leaning on international media outlets a little more because domestically we are so divided. Books are a great outlet for this as well. I recently read Hillbilly Elegy by J.D. Vance and highly recommend this book not only for anyone who is trying to better understand the great divide but more importantly, the book is an example of how a story or point can be made without “choosing sides” or demonizing an one side. Out of curiosity and in an attempt to be open-minded, I recently visited Detroit, Michigan during the democratic convention. I’m fiercely independent and not deeply involved in politics so this was a very new, fish-out-of-water, experience for me. I choose Michigan because the state experienced quite a big surprise in the way it voted during this last election. I had heard the convention was going to be a bit spicy while the party figured things out and it was. I spoke with people, witnessed the caucuses in action and heard the “Bernie Rebels” chant and rally. Listening to people was key. I learned a great deal and also became more confused in some areas but more than anything I confirmed what we all know — conversations are critical if we want to be more empathetic. I’m not suggesting we all have to hop up and attend a convention. I am suggesting we have more in-person conversations with people who may not feel the same way we do. Sometimes these are full of what I call “healthy-tension”. That’s okay. As long as there’s an underlying level of respect there, it’s a powerful start. Why was this Tervor Noah and Tomi Lahren debate such a big deal? Because yes they debated and it was extremely intense but there seemed to be an underlying level of respect. The internet went bananas over this conversation and many people likely learned something from hearing an opposing POV. There were no personal attacks, just strong opinions. Try inviting someone who may not see things like you do to grab a coffee, tea or drink. Maybe this is even someone in your own family. My empathy experiment continues and I’ve recently had many conversations about how we can find empathy in unexpected places with Tony Robbins, Mark Cuban, Simon Sinek and many others. The conversation is on-going, you can listen and participate here.